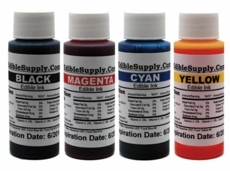 Edible Inks are a specially formulated food coloring mixture for printing onto icing sheets. The colors are matched with regular inks, then modified to hold their coloring better on the icing sheets. 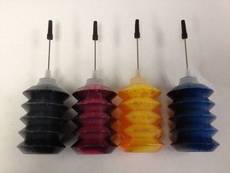 These edible inks particularly made for your Canon printers.